MORE BLACK AND GOLD... — CLAFLIN, THAYER & CO.Claflin, Thayer & Co. 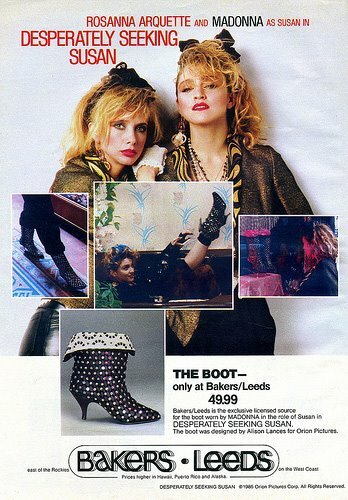 This is a Desperately Seeking Susan boot update. My favorite boot of all time from the movie, as seen HERE and below, has been updated into a very sassy (did I just say "sassy"?) all-0ver studded bootie from Mulberry. Nice work, guys! I'd buy it if I had cash to spare. Mulberry studded suede bootie $950 at Net-a-Porter.